Some apps tell you where to eat. Others tell you how to burn off the calories you’ve eaten. But only “Miles Per Hamburger” tells you exactly which restaurant you have to run to, to get rid of the last meal you ingested. The app is the brainchild of recent Staples graduate Michael Menz, and rising senior Mrinal Kumar. 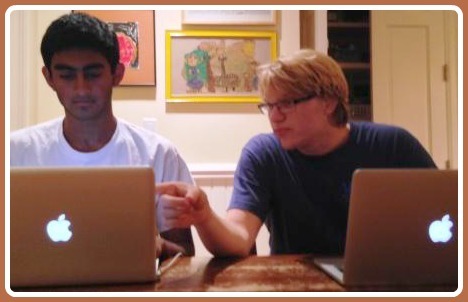 Mrinal Kumar (left) and Michael Menz, hard at work. The teenagers have been friends since playing on the same summer tennis team during middle school. At Staples they were math team co-captains, and teammates for the Spectacular Student Challenge, Moody’s Mega Math Challenge and Science Bowl. They’ve also competed in national math competitions. 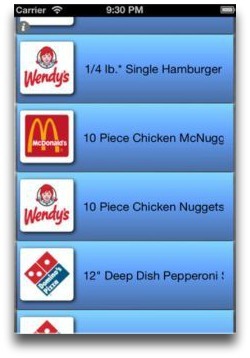 “Miles Per Hamburger” is actually the 2nd app for their partnership (Kumenz Software Solutions, an actual LLC). The first — iFunction — allows users to create and use their own mathematical functions for everyday life. The calorie-counting app has much, um, wider appeal. 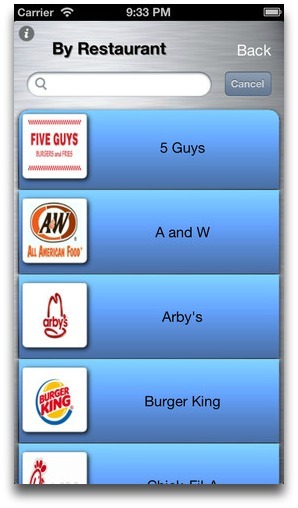 Users scroll through over 2400 foods at 20 chains (including Westport standbys 5 Guys, Arby’s and McDonald’s). They click on their latest meal — 20 Piece Chicken McNuggets, Egg McMuffin and Apple n Spice Donut, say — and get the frightening result (1510 calories). The app immediately geo-locates another restaurant you can run to, to burn off those 1510 calories. The idea came because Michael and Mrinal wanted to combine commercial possibilities with good health. They realized that visual representations, in units people can understand (like miles) resonate far more with users than simply presenting the number of calories in a meal. When the pair tested the limits of the app by piling on the most calorie-rich meal they could conceive — 5 Guys fries, Big Macs, Whoppers — they were initially directed to a small restaurant in Southern California “1 mile away.” That’s when they realized their coding needed work. So they devised an algorithm that enabled Apple’s map to perform a series of searches, each modified by the ones before it. 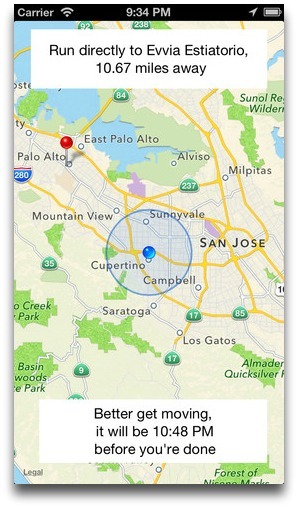 Otherwise, Apple’s map would simply prioritize the nearest location. In densely populated areas, that’s no good when you’ve got 1510 calories to work off. Michael and Mrinal field tested the app extensively (hopefully theoretically — without actually ingesting, say, 1510 calories). The app was accepted by Apple on its 1st submission — no easy feat. It shot into the Top 1000 in the App Store in several countries shortly after release. Feedback (“feed” back?) has been very positive. …and find out how far you have to run to burn off those calories! In a few weeks, Michael heads off to his 1st year at Yale, studying math and computer science. Mrinal enters his final year at Staples. Meanwhile, Kumenz LLP has more apps in the works. One is a pickup basketball shot clock. Another will give users a comprehensive data analysis of their driving, utilizing their iPhone’s GPS. It will be the duo’s 1st app that is not free. There’s no such thing as a free lunch, we know. But — thanks to the free “Miles Per Hamburger” app — those who buy a fast-food lunch now know how far they have to run to pay for it. Many schools prohibit cell phones. Administrators fear they’ll be used for games, texting, even cheating. Staples allows cell phones (though not in class). They’re a ubiquitous part of life, after all. A ban won’t eliminate their use; students will simply devise ways around it. Plus — go figure — they’re plenty helpful. 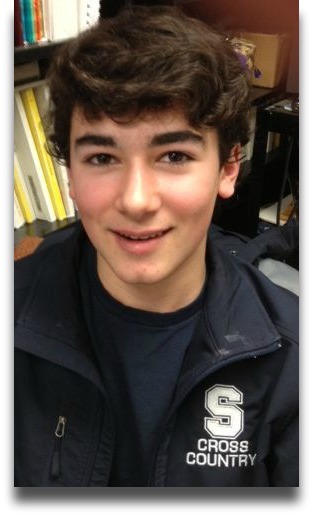 Senior Eric Lubin took that idea, and made iPhones exponentially more useful. An experienced app developer — he already has 3 in the iPhone App Store — he spent this summer powering up one of his previous creations, iSHS. Rechristened myStaples, it’s as versatile as a Swiss Army knife, as easy to use as a doorbell. And when it’s available on the App Store — hopefully this week — it could become as popular as Flight Control. A key feature allows students to see their personal daily schedule. (It’s different each day — not easy to memorize.) Because the app works off the Staples TV system — which adjusts for special schedules, half days, etc. — it’s always accurate. The lunch schedule — always a source of confusion, because it changes based on department and month — is another key feature. The homework feature is very impressive. Students simply tap a class, add an assignment, then set a due date. They can sort their homework by course or due date. If they check it when it’s done, it’s automatically deleted. 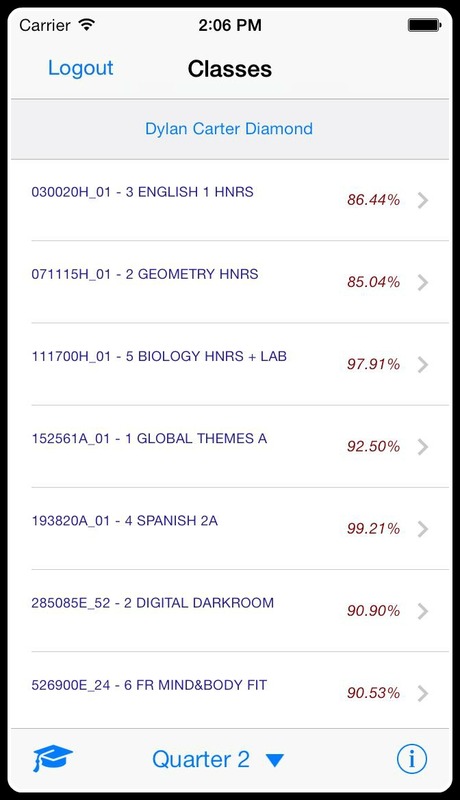 Eric included shortcuts to Blackboard — the school’s course management software — and SnapGrades, a web-based gradebook. The app is tied to Staples’ TV screens, so the daily announcements are displayed in table view. That eliminates the need to stand in front of a TV monitor, waiting to see whether there’s a notice that a sports practice is canceled due to bad weather. Eric tweaked myStaples for iPads, to take advantage of that device’s increased space. There’s also an iPod version. Eric considered a social component — the ability to see every other student who shares the same free period, say, or all those taking any section of AP Statistics — but did not have time to include it. Not that he was slacking — or trying to make money off his app. Friends have said they’d pay $10 for myStaples — but he’s offering it free. Perhaps he’ll adapt it for other schools. After all, Mark Zuckerberg started Facebook for his Harvard college classmates. Look at him now. Eric Lubin is a much nicer guy.